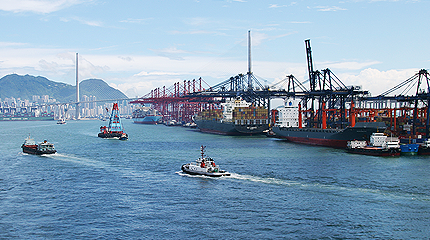 The Port of Nagoya, located in very center of Japan, has been recording the biggest amount of trade and actual tonnage among Japanese ports. 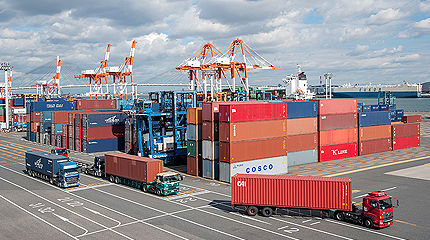 A lot of leading manufactures for automobile and aircraft industry are here in the central area of Japan and the Port of Nagoya has been designated as the International Strategic Port for Bulk Cargo by the Government. 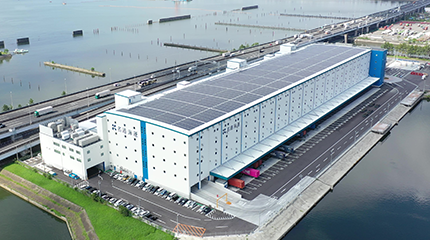 In the Port of Nagoya area, we own more warehouse capacity and cargo handling equipments than any other logistics providers. 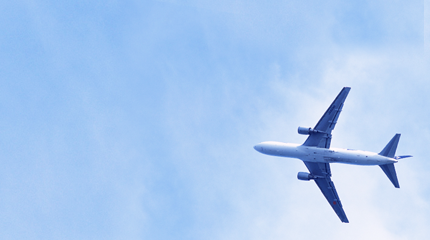 Since the international air cargo handling has been one of our business activities for quite a long time, we are meeting all aspects of our customers’ need for transportation. We have been expanding our own overseas subsidiaries to arrange the international door-to-door service. A number of reliable overseas agents are supporting us to offer the satisfactory service to our customers as well. The operation in those overseas locations is being managed by Japanese representatives from Meiko Japan to make their service being the same level as in Japan. We have learned how to handle any kinds and/or shape of products through our own experience and our capability for the safe handling is highly assessed by our customers. KAIZEN activities never end in each distribution center to improve the safety and productivity. Operation manual on how to operate the material handling equipments has been prepared so as to make each warehouse capable to handle customer’s products with maintained quality. We have been ISO9001 and ISO14001 certified for long period of time and trying to improve the qualification by repeating PDCA. We have also been certified by Nagoya Customs as AEO operator (Authorized Customs Broker and AEO Warehouse Operator) as a result of our well maintained security and compliance. 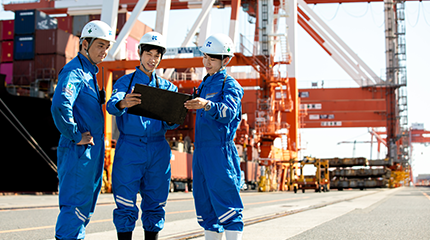 Even though the majority of our business activities are going on at the Port of Nagoya area, we are an international air cargo forwarder as well. We own the warehouse of approx. 5,000m2 in Chubu Centrair International Airport. Whatever your requirement for transportation would be, we are the one-stop business partner for you.